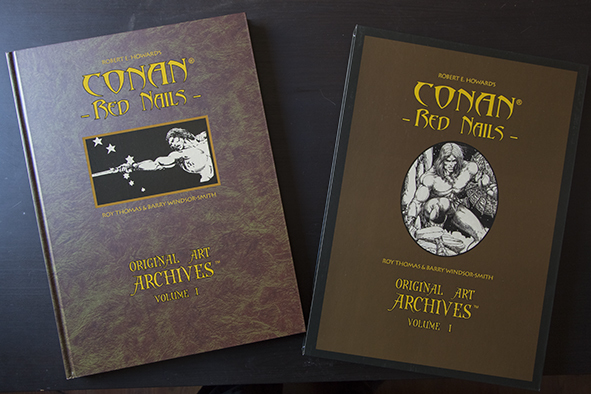 Let´s take a look at what Genesis West Publishing bring us: Conan Red Nails – Original Art Archives Volume 1. Red Nails is probably my favourite comic book ever, together with Wolverine #205. 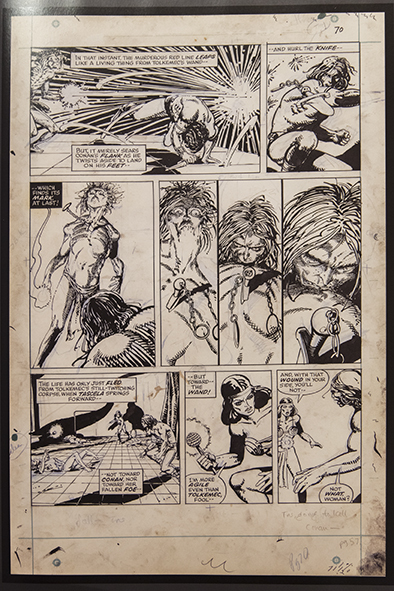 Both were created by Roy Thomas and Barry Windsor-Smith. 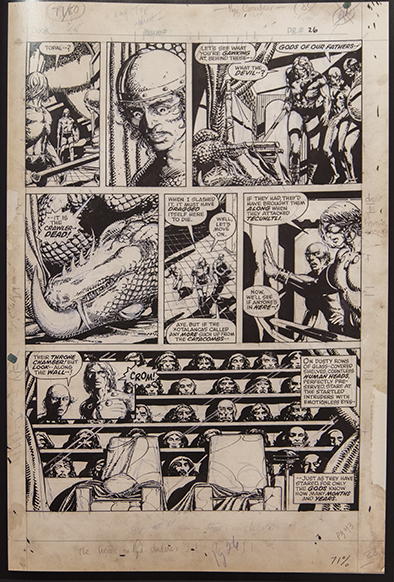 Windsor-Smith, as I stated before on this blog, is the artist I was influenced more when I was young and I still love his work, scarce as it is. 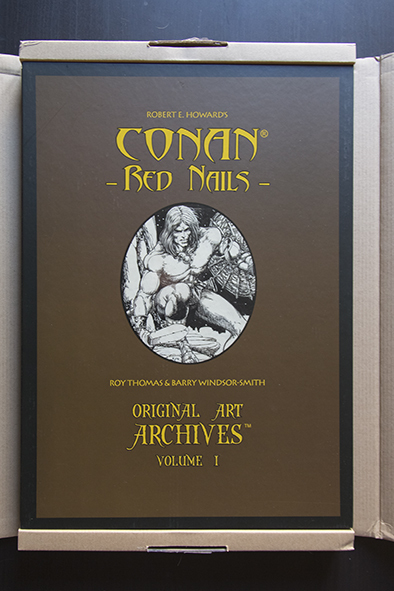 Red Nails is a Conan story in color but what we have here is the reproduction of the original full size color boards by Windsor-Smith. This is very much similar as the IDW´s Artist´s Editions. However I must say this is not a perfect way of doing it. 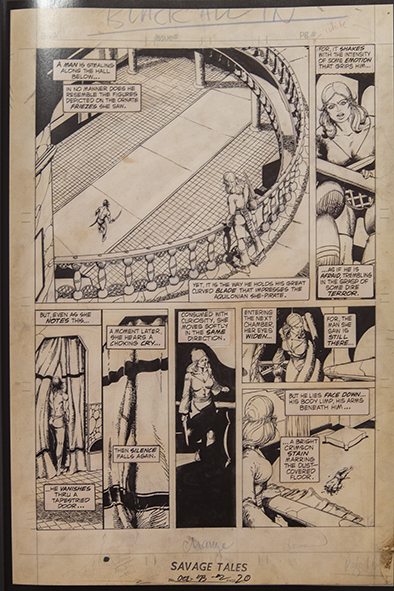 The paper used here is not as good as the bristol board paper that IDW uses. We have some glossy good quality paper, but I believe is not the best way to reproduce this. Also, there is a lot of empty space as the pages are printed only in the right side of the book. The opposite side only has some enlarged panels or pieces of panels.This makes this volume the most expensive art book I have. At 200 dollars, retail price, you get a book with half of the pages worthless. This is not good at all. Also there is no input from BWS, and it is really missed. There are contributions by other people, and all are interesting pieces, but it feels something like a missed opportunity. The book is huge and comes protected by a cardboard box. 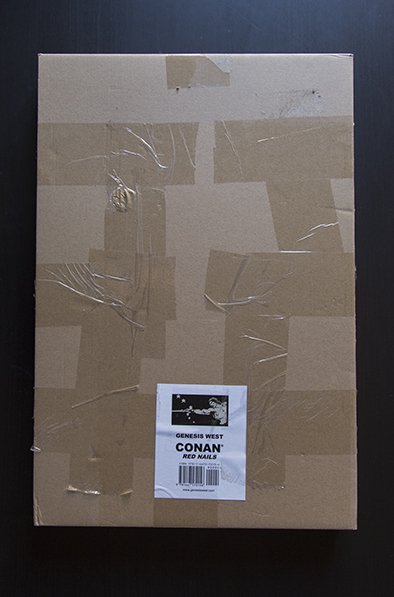 Inside you will find a slipcase with the comic inside. 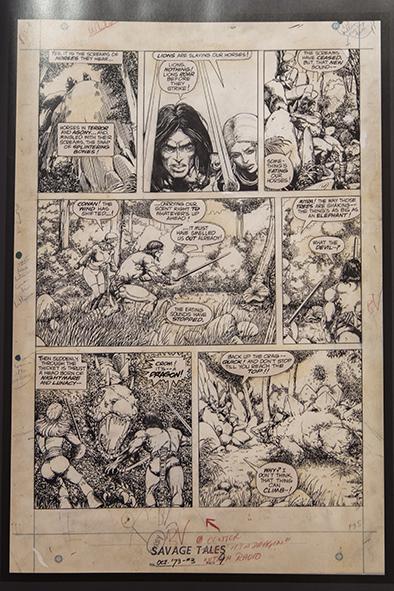 Besides all the problems I commented above, it is great to see the art at this size and being able to analyze the brush strikes, changes, corrections and hand written notes. We have also an introduction by Roy Thomas, an appreciation by George Perez, and more texts by José Villarubia, Andrew Steven and Michael Thibodeaux. So I have mixed feelings about this. 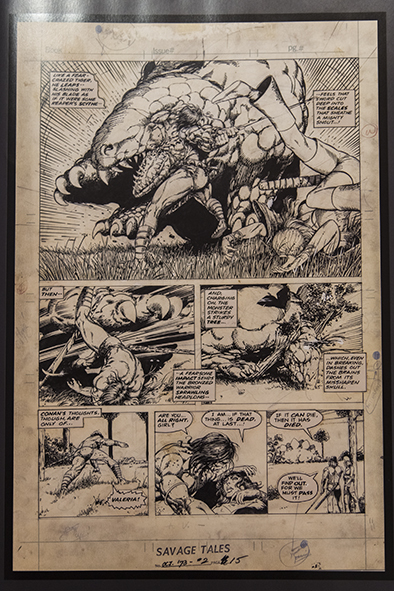 On one hand I love to have it and spend hours enjoying the detailed art and re-discover it in this new size and reproduction. On the other hand I really feel this could have been done better. If it were half the cost I would recommend it for sure. Now, as it is, I recommend it to people like me.